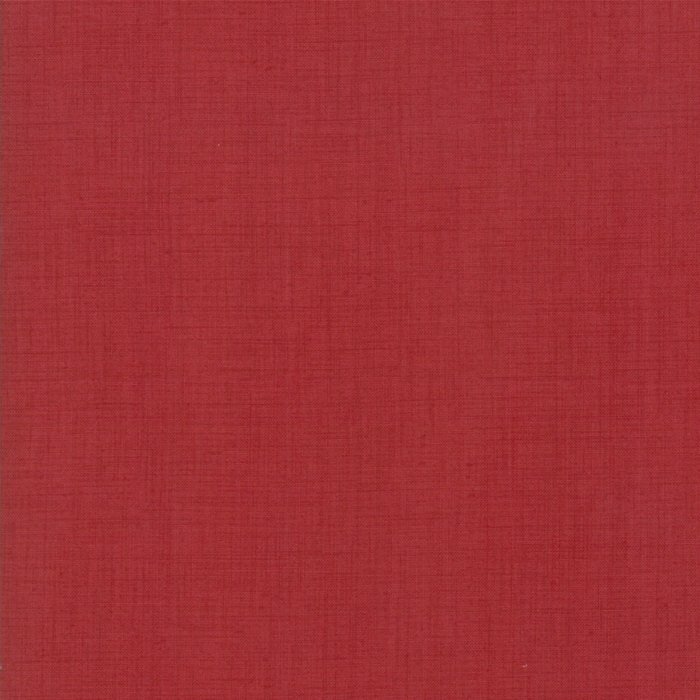 Twenty years ago, French General began in a barn along the Hudson River in upstate New York. 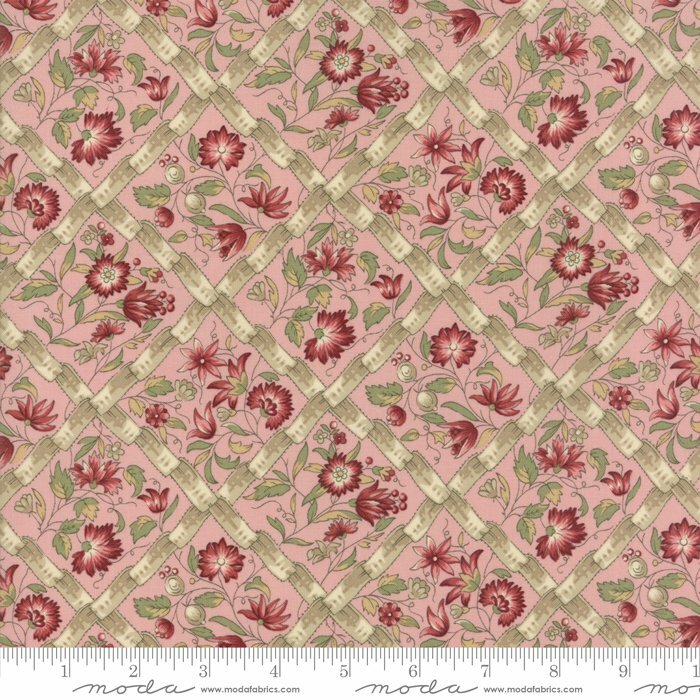 Open once a month, the barn was filled with all of Kaari’s favorite things – old French linen sheets, 19th century floral textiles and tickings, French buttons, beads and ribbon. 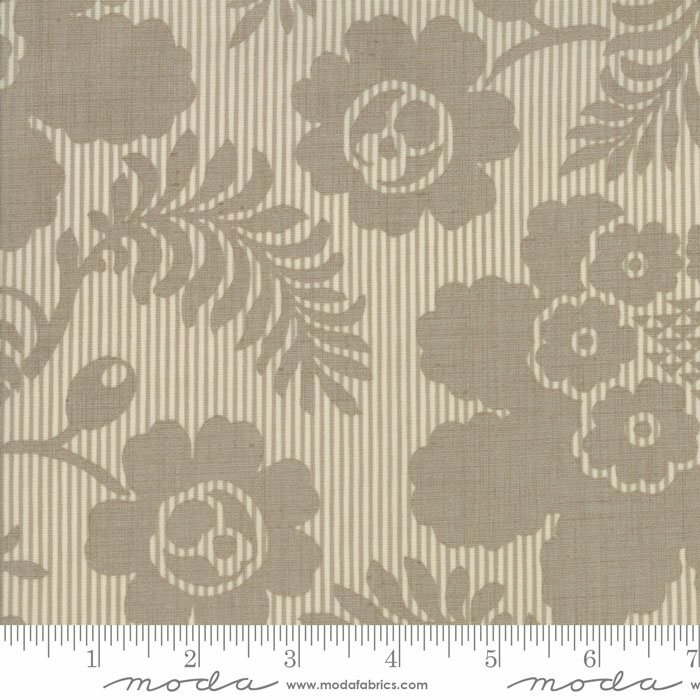 Eventually the shop moved to New York City, and then to Los Angeles – where French General continued to grow into what it is now. 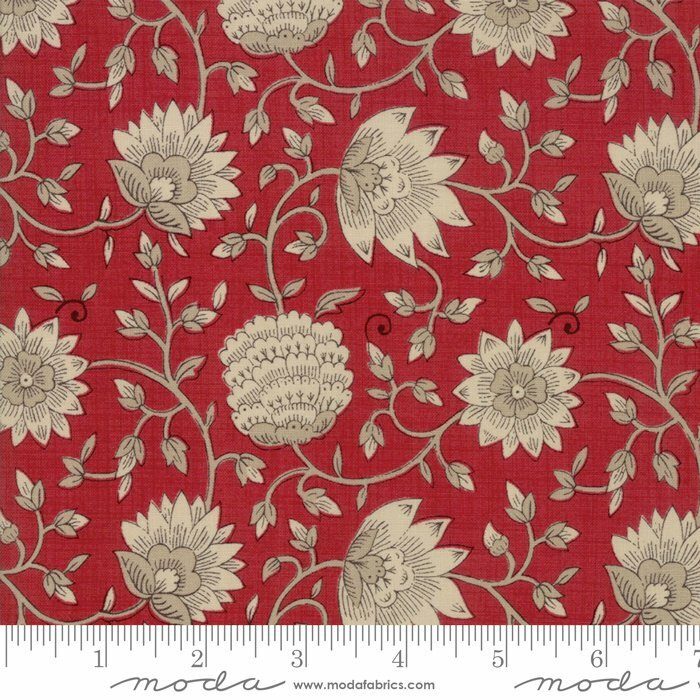 It is a shop, a workshop offering classes on every manner of stitching, block printing and natural dyeing, and a design studio for Kaari and her husband, JZ. 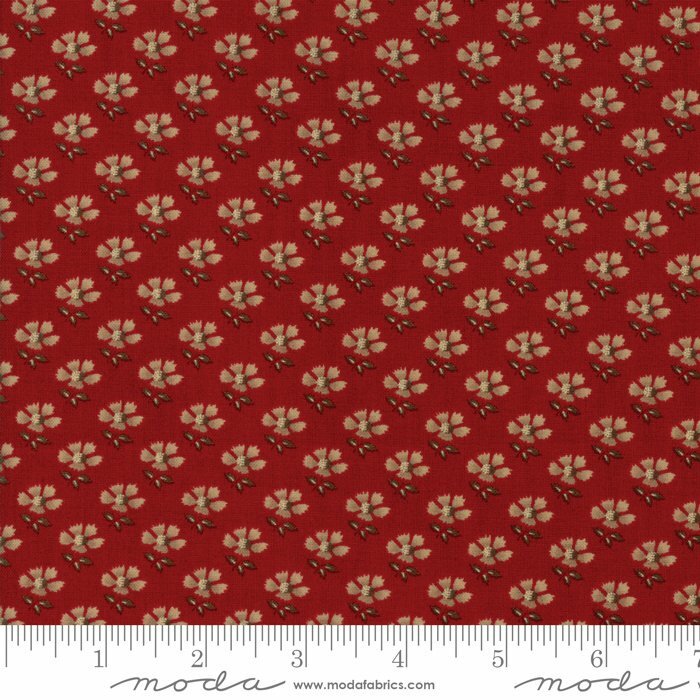 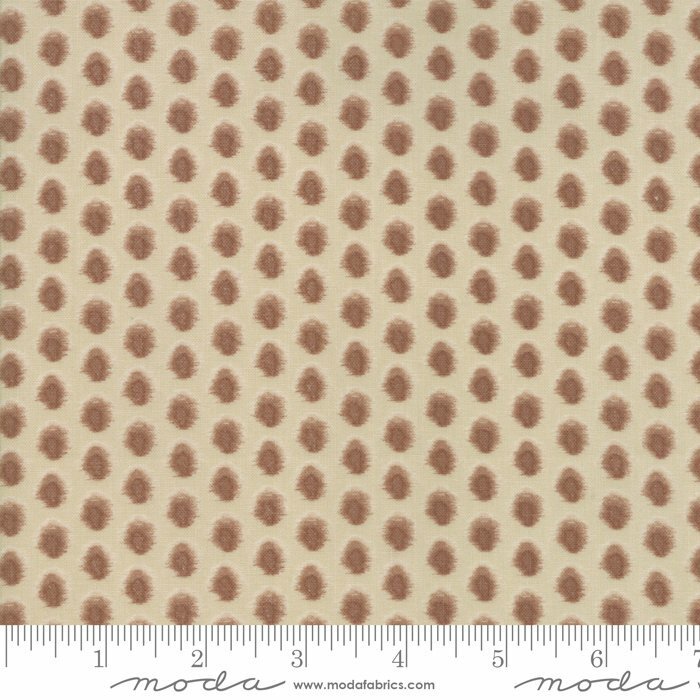 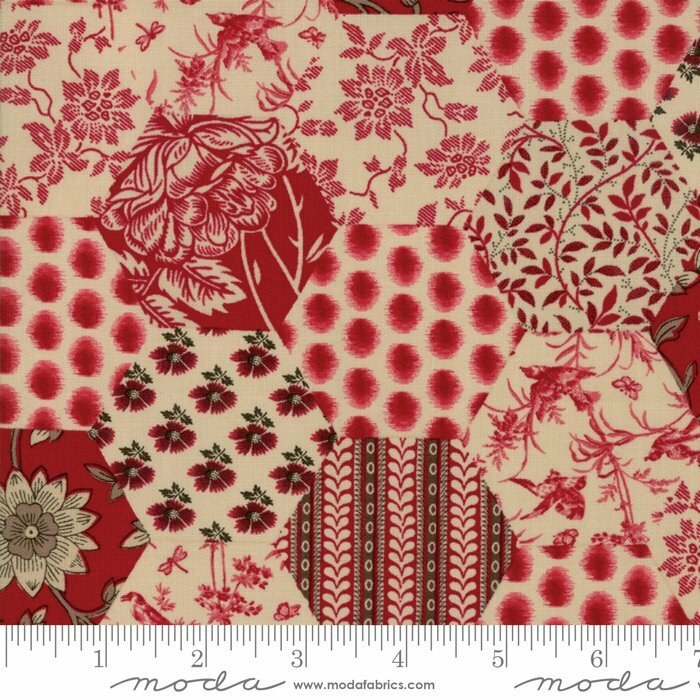 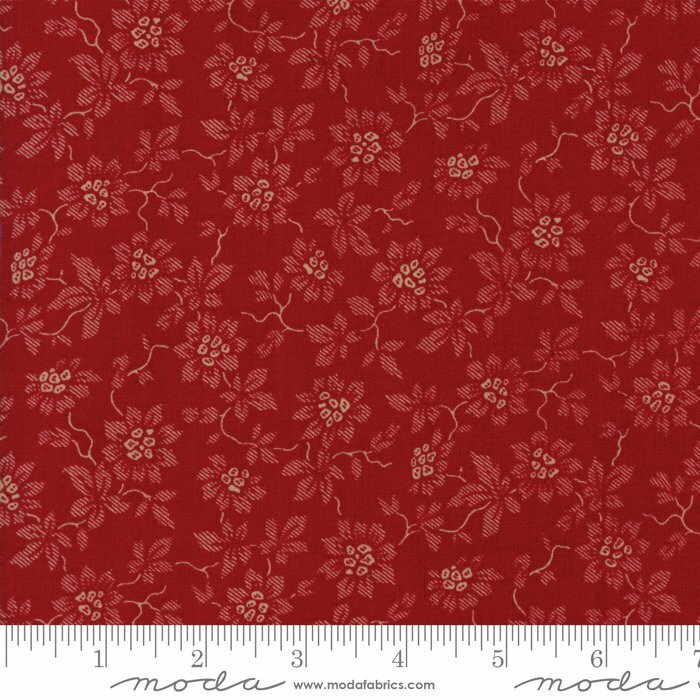 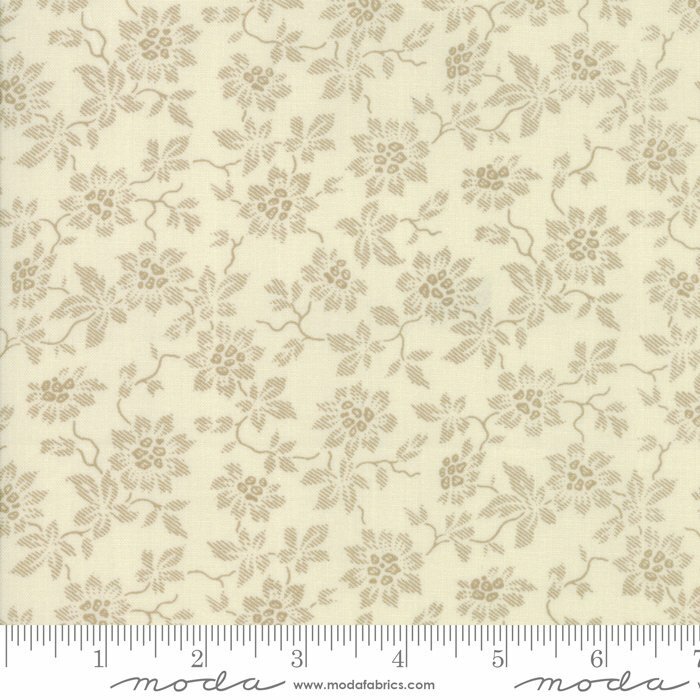 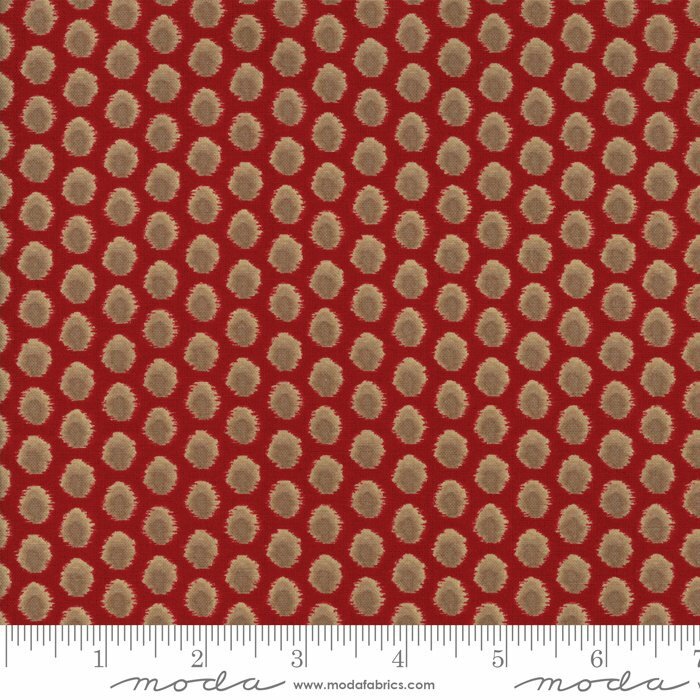 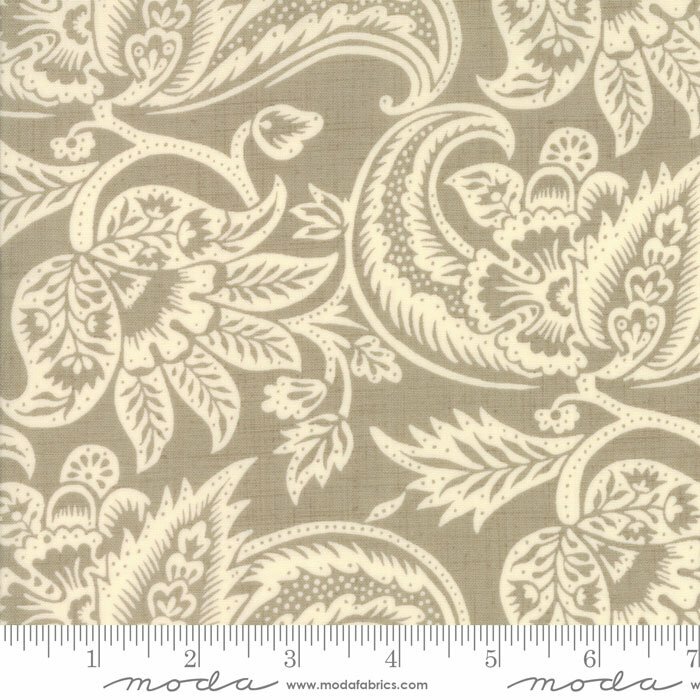 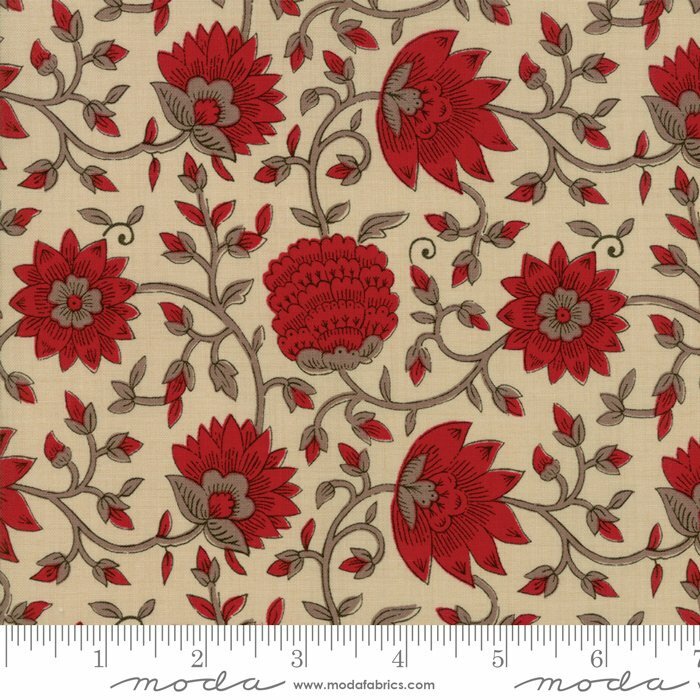 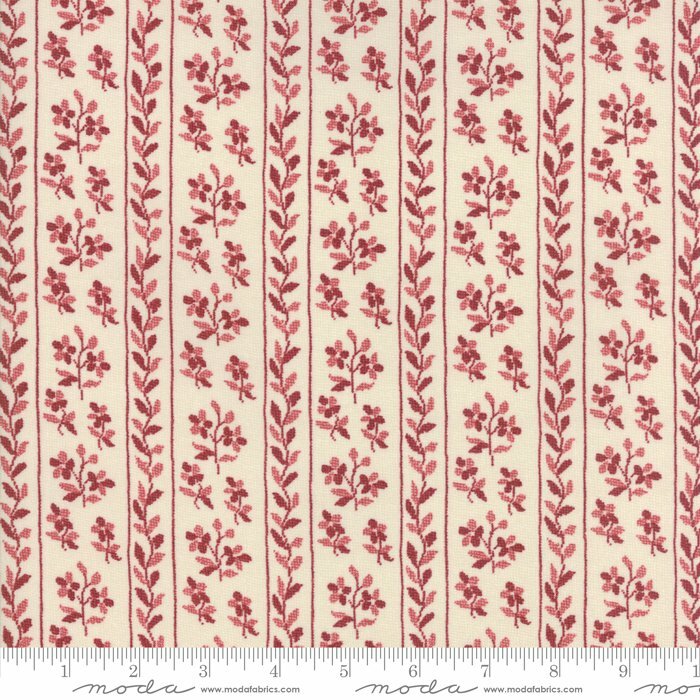 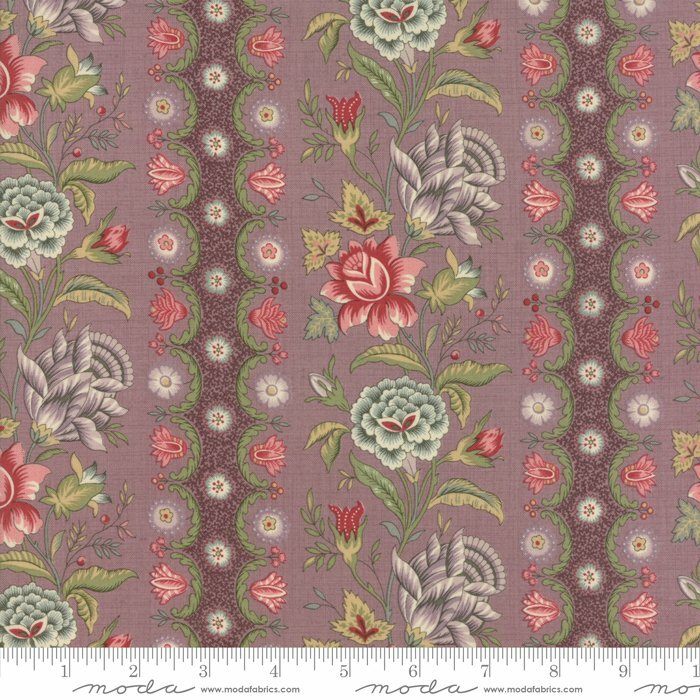 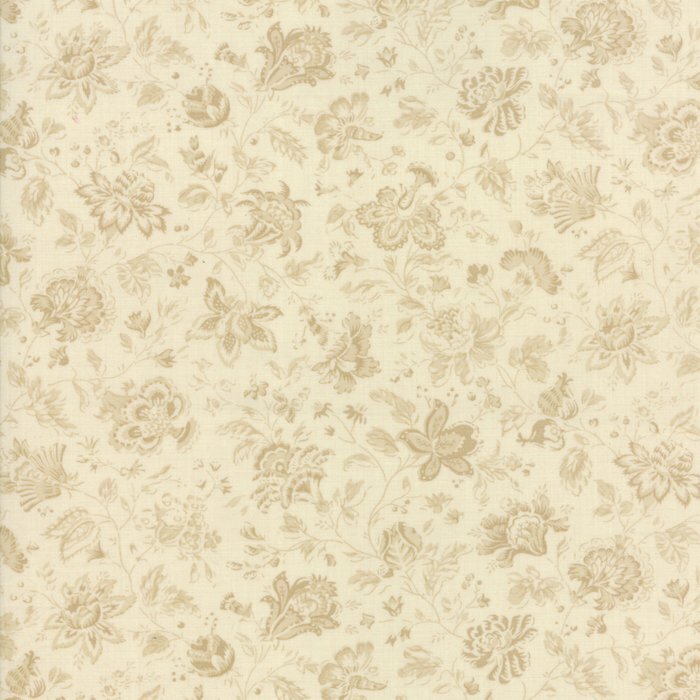 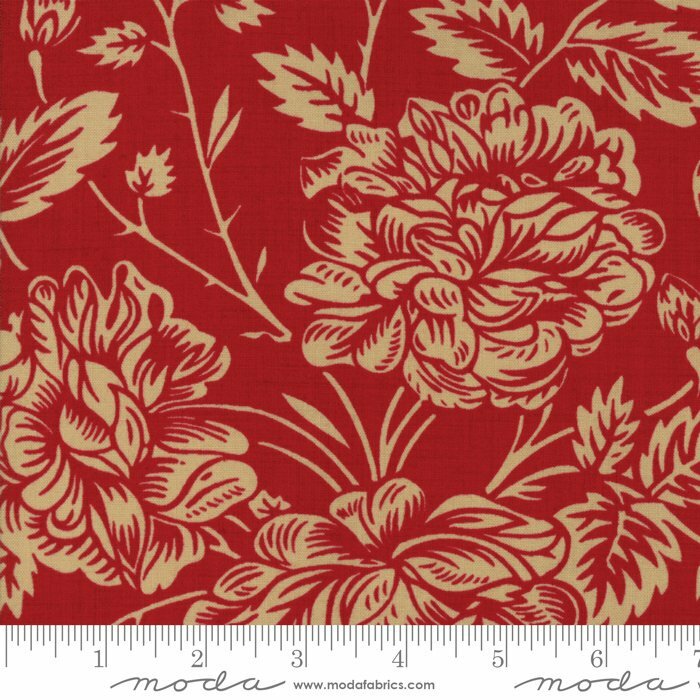 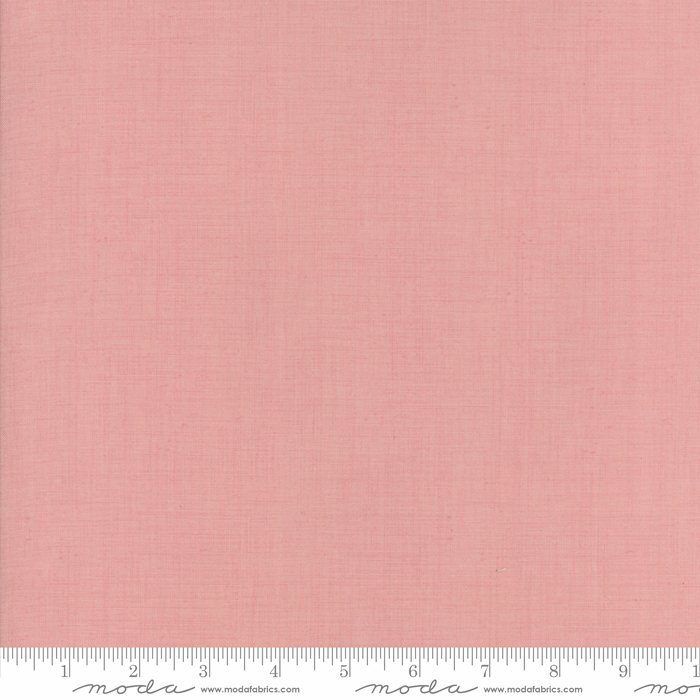 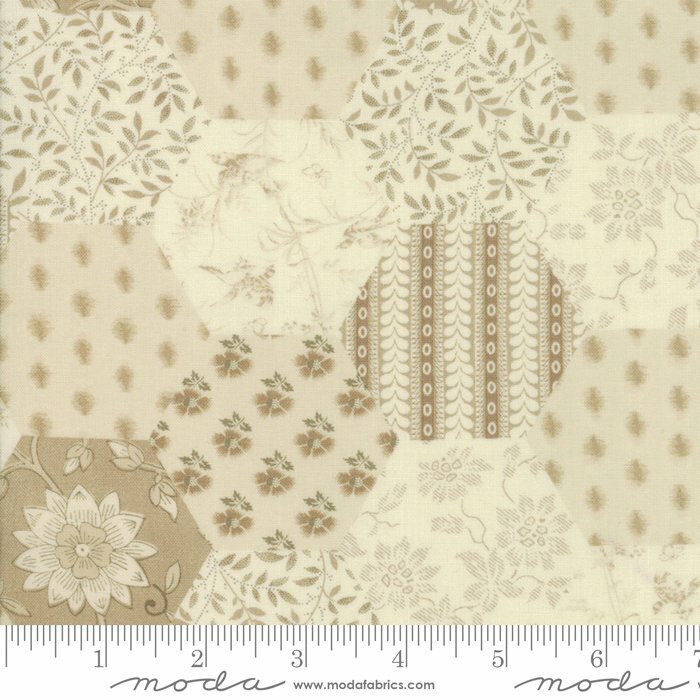 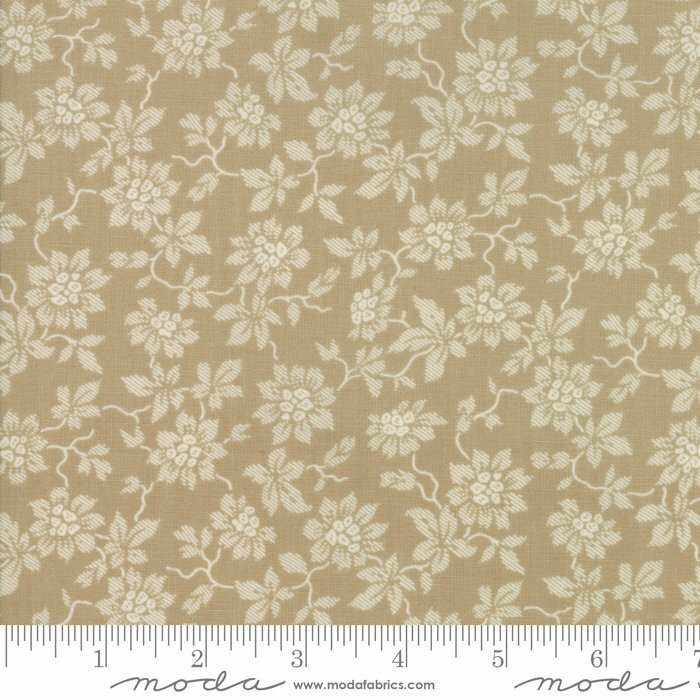 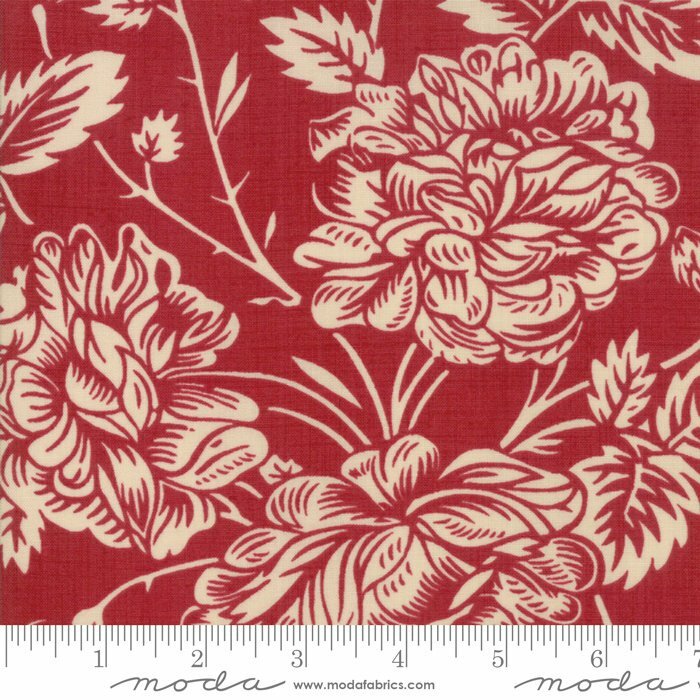 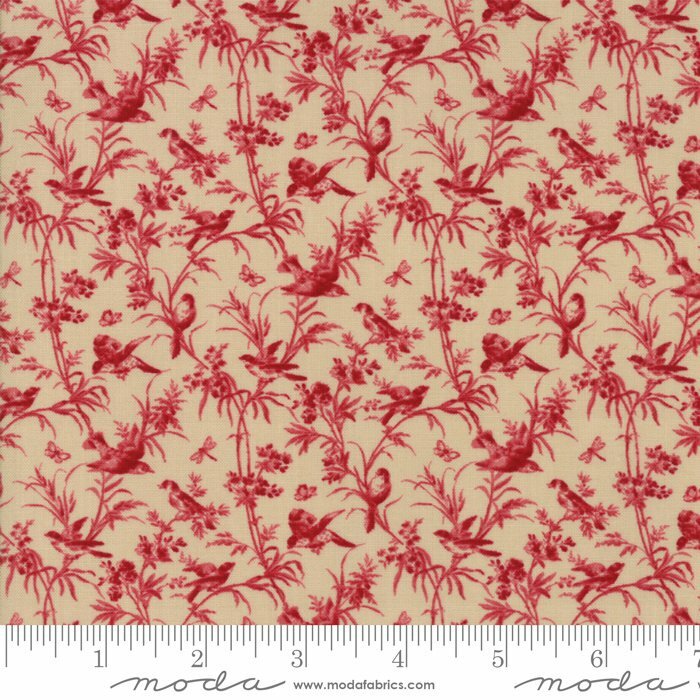 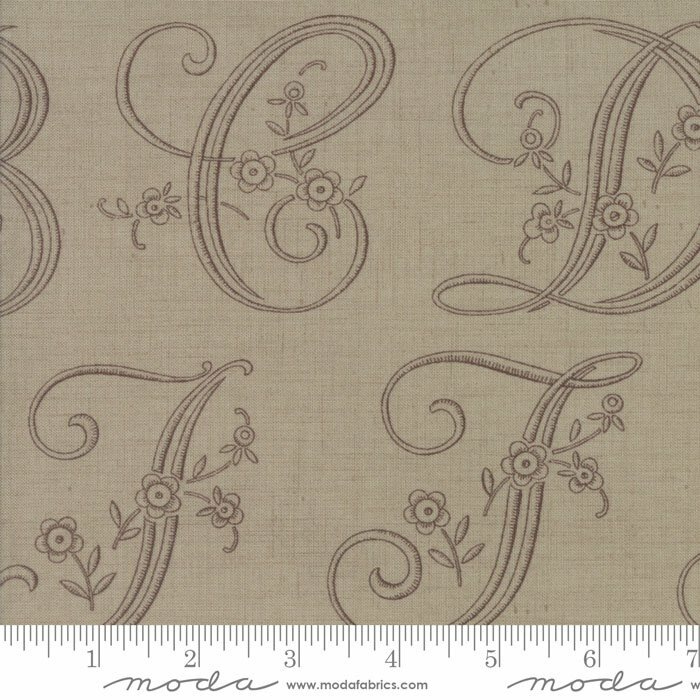 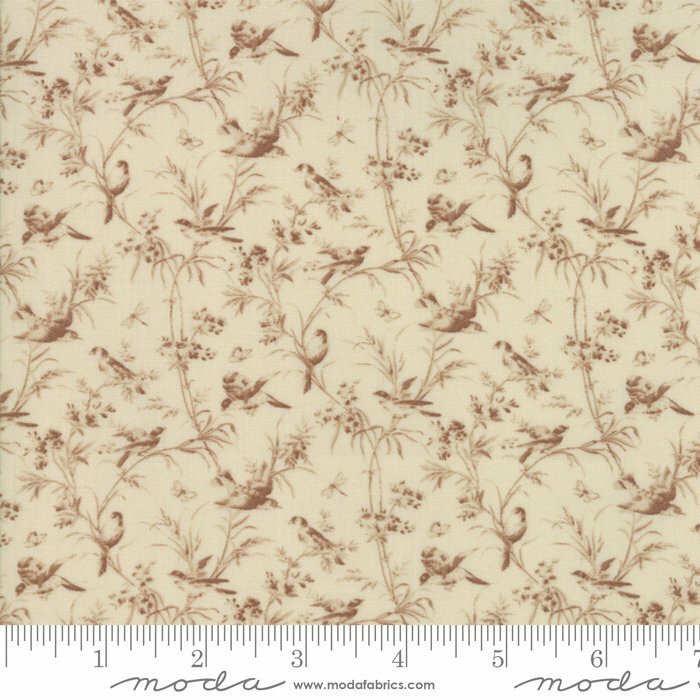 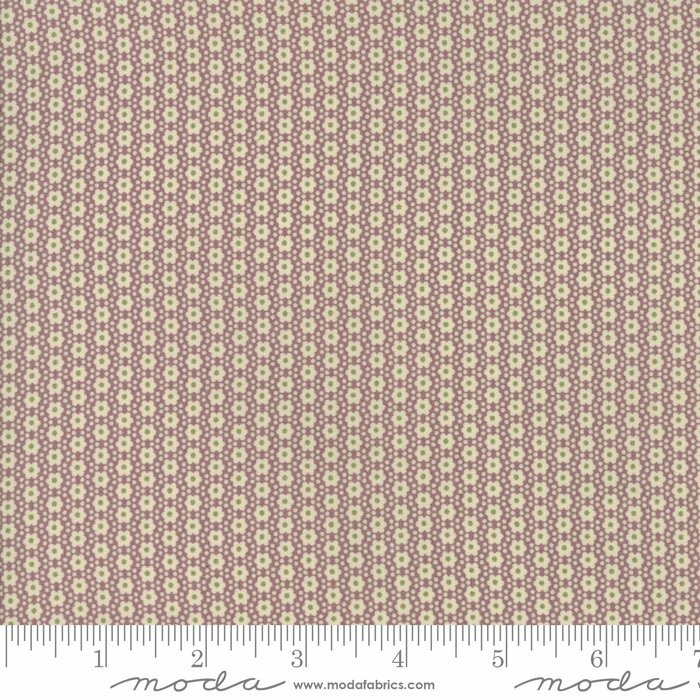 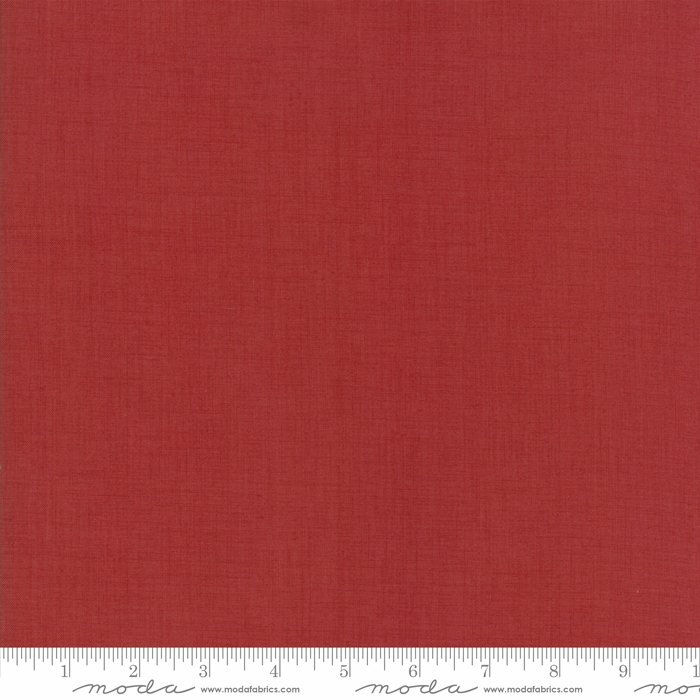 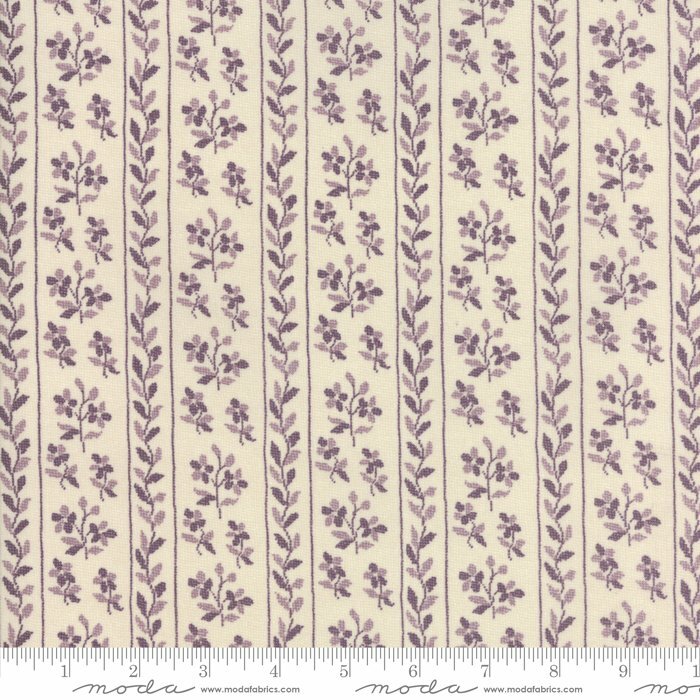 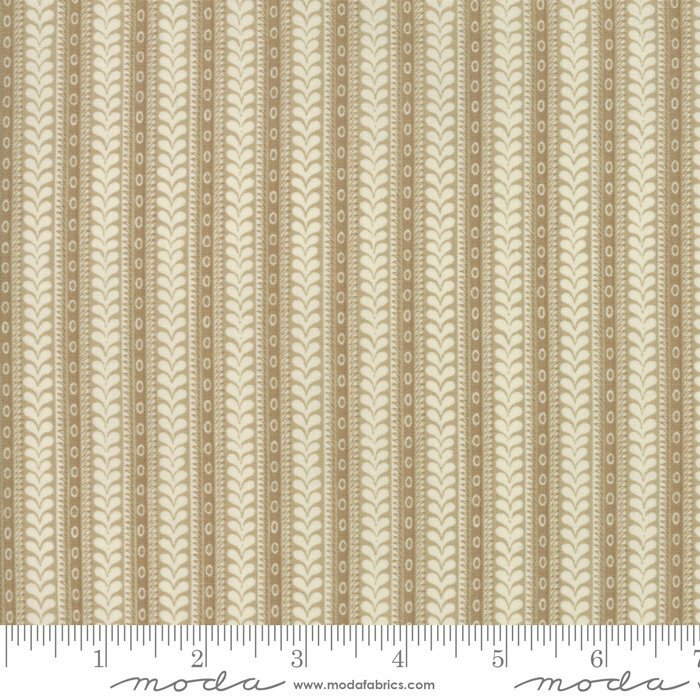 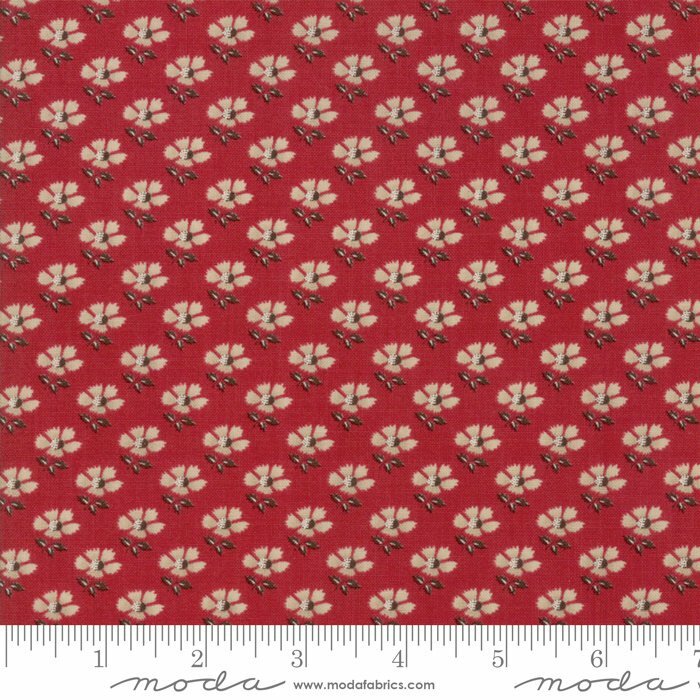 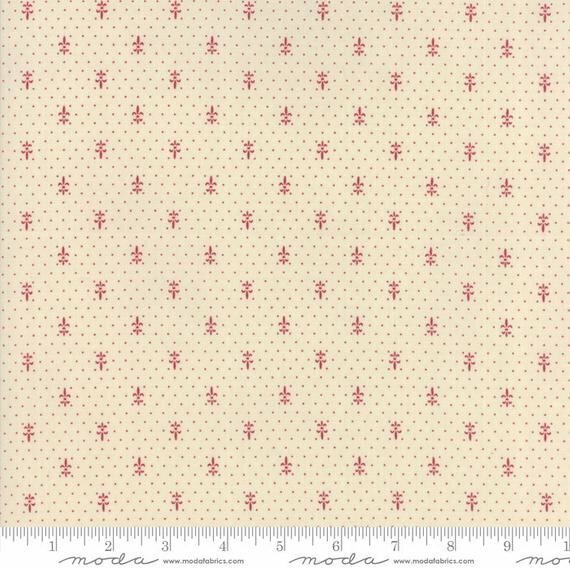 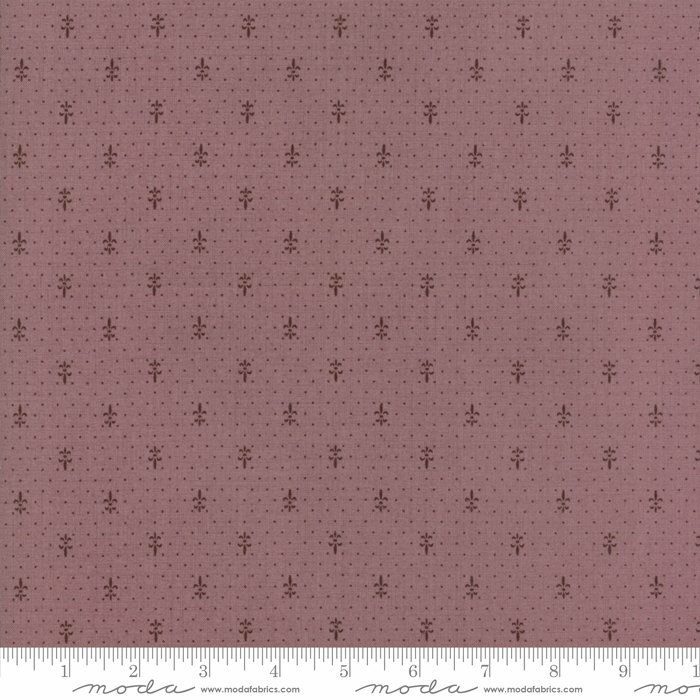 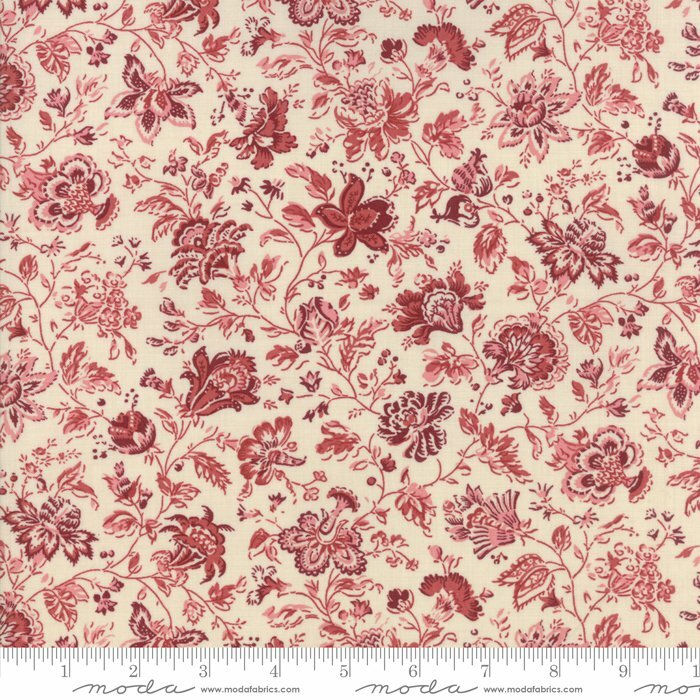 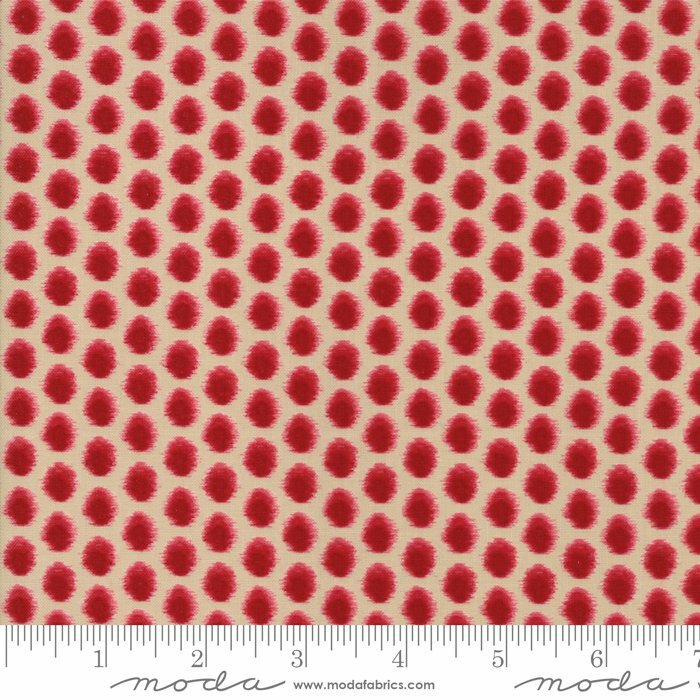 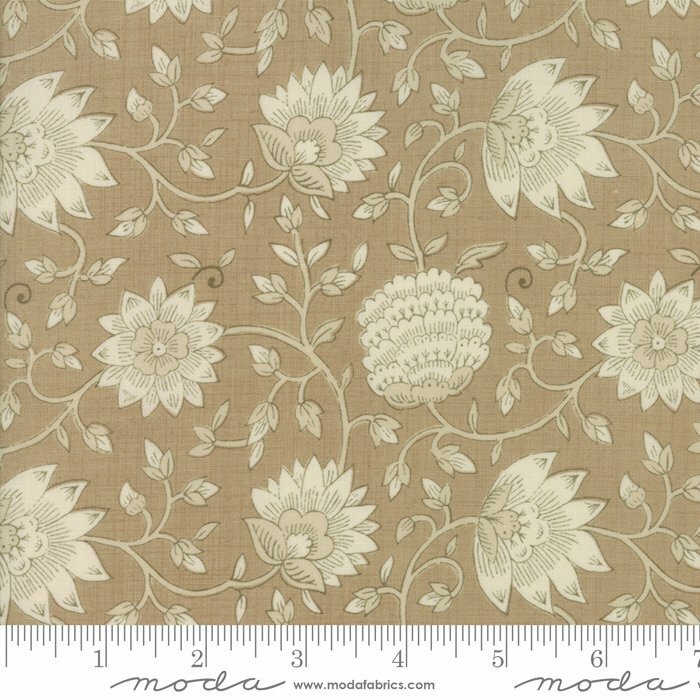 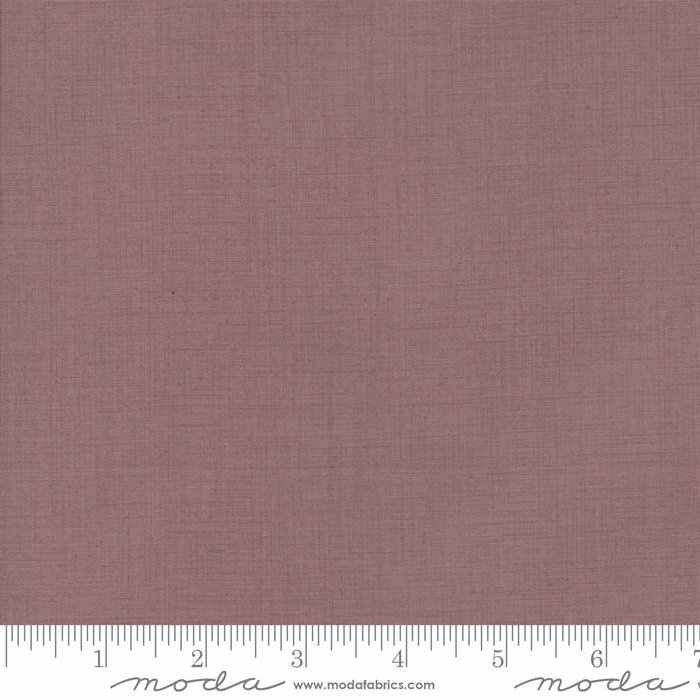 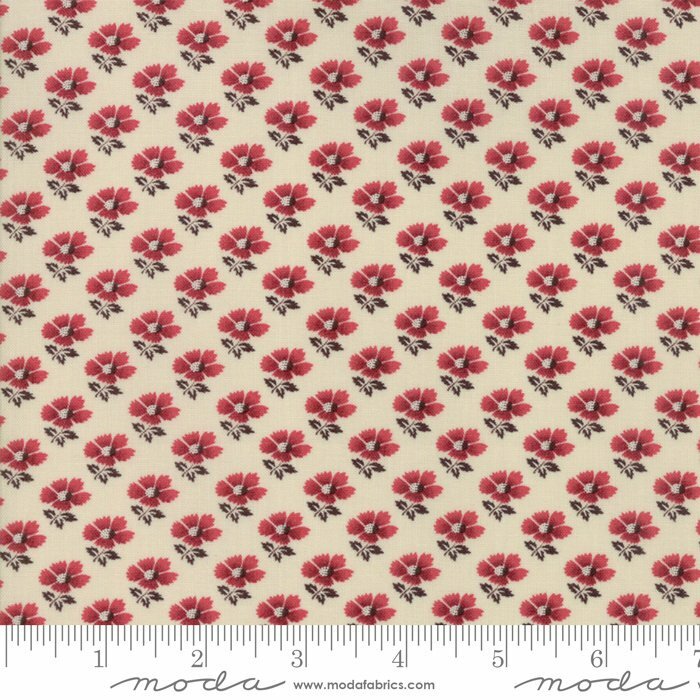 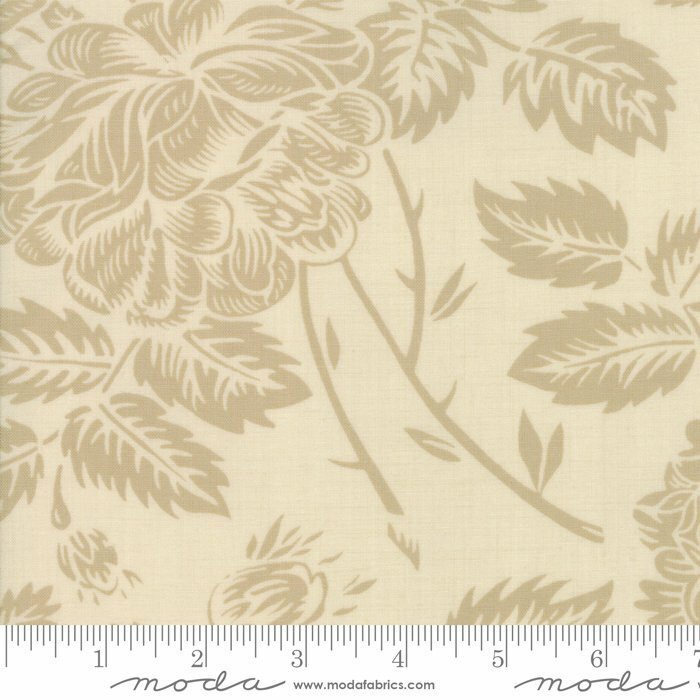 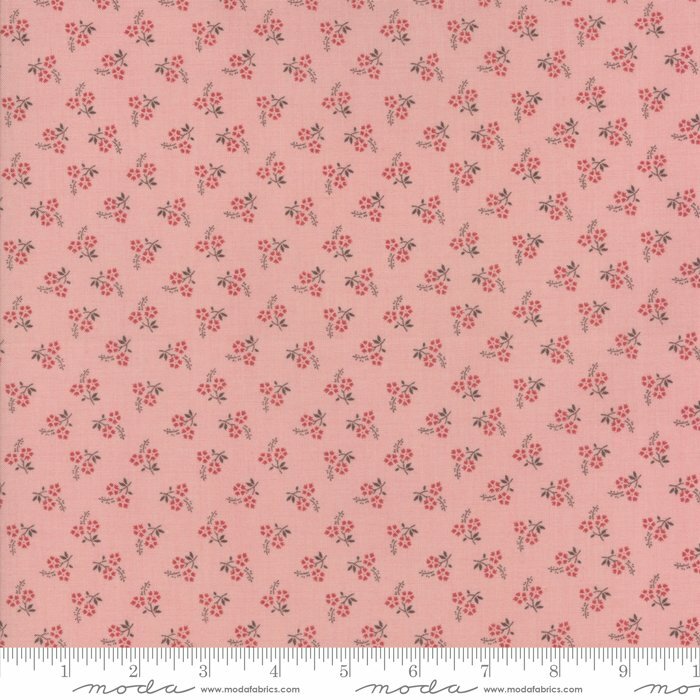 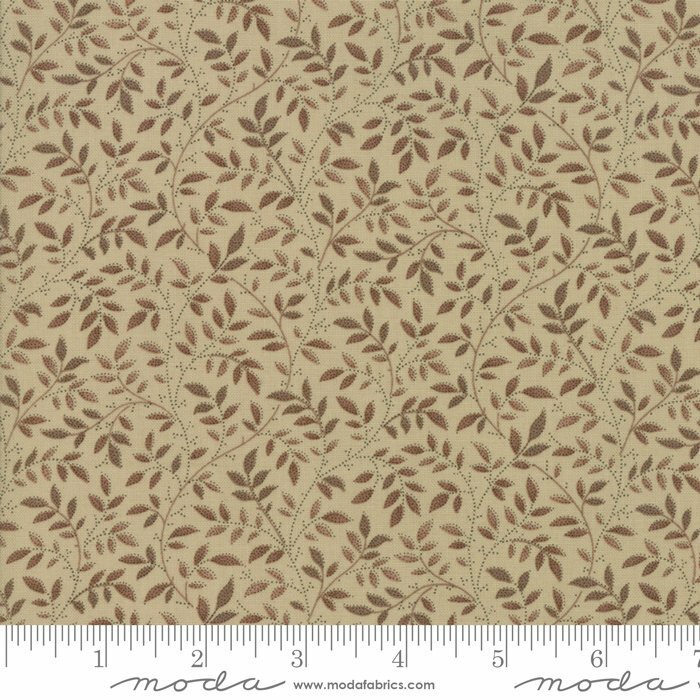 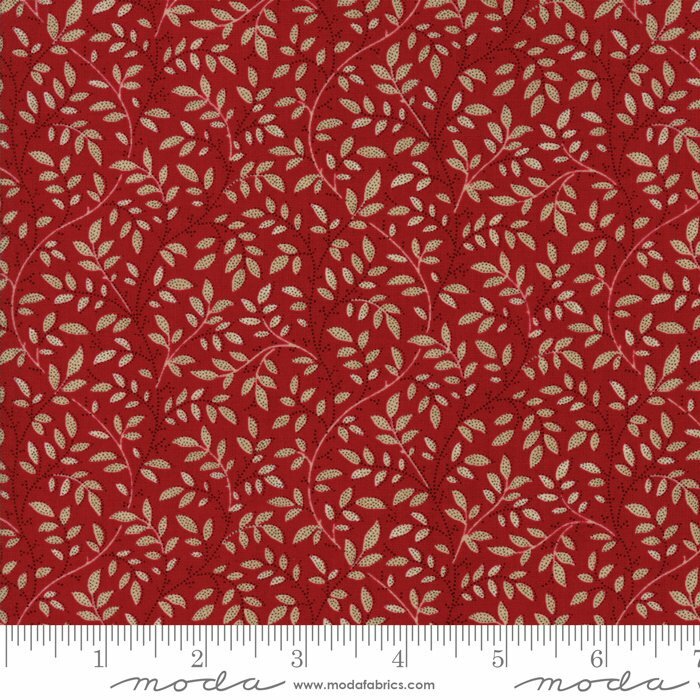 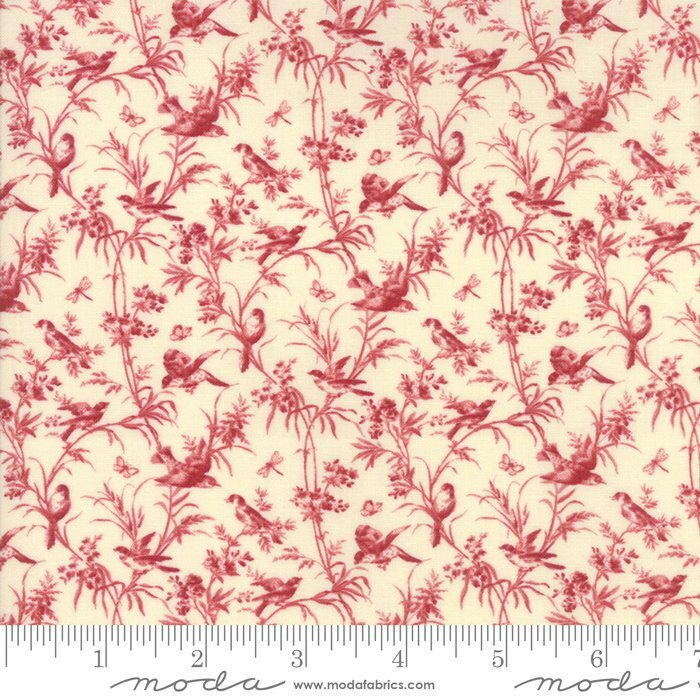 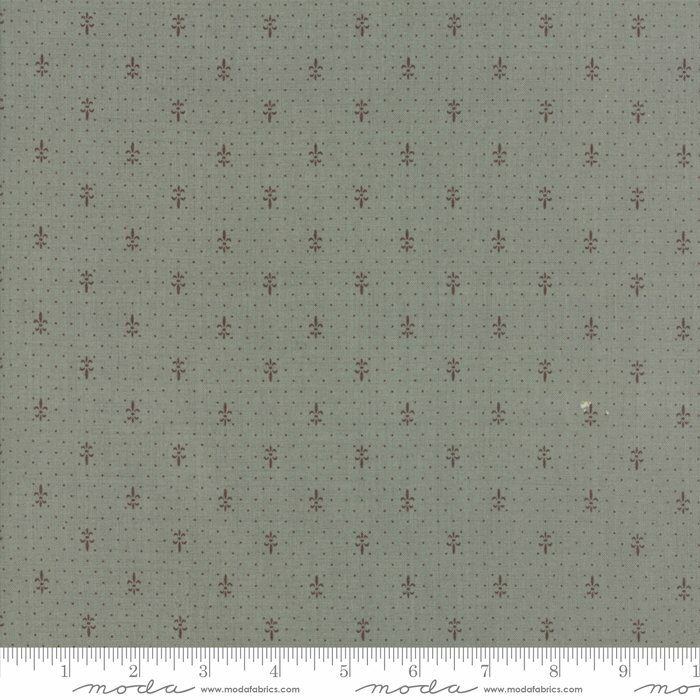 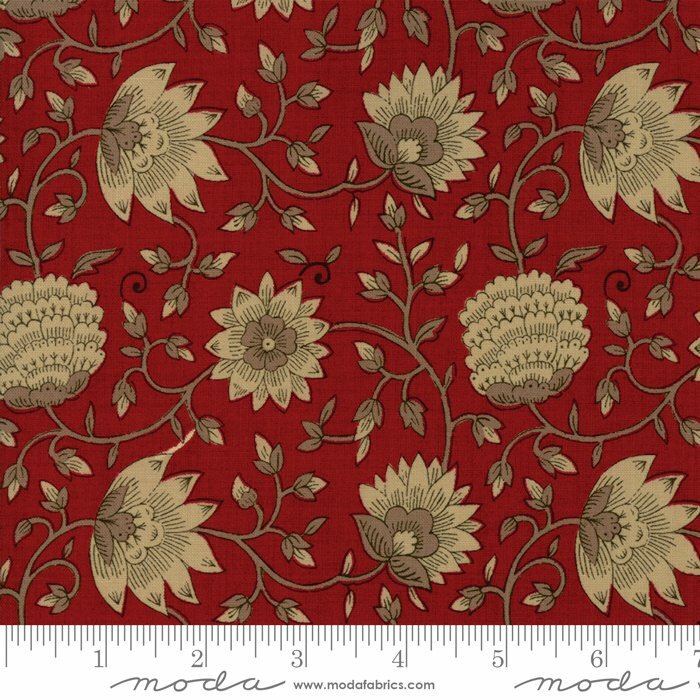 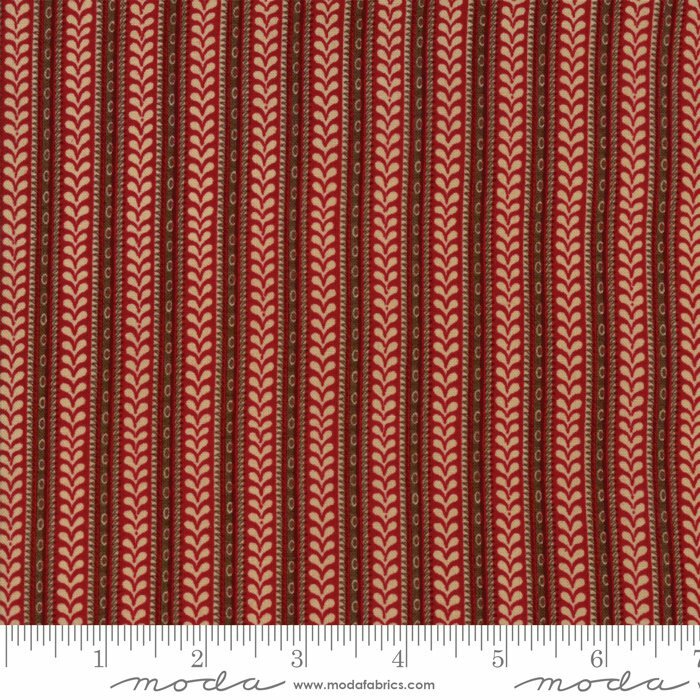 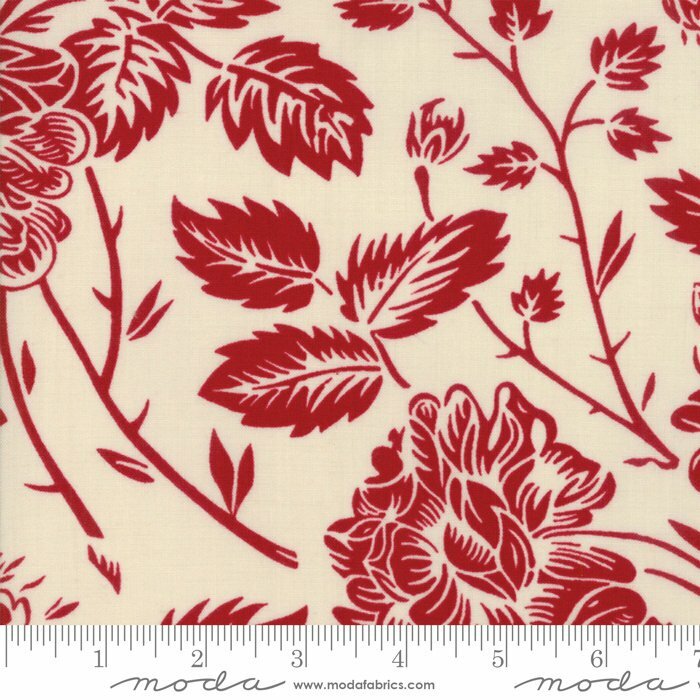 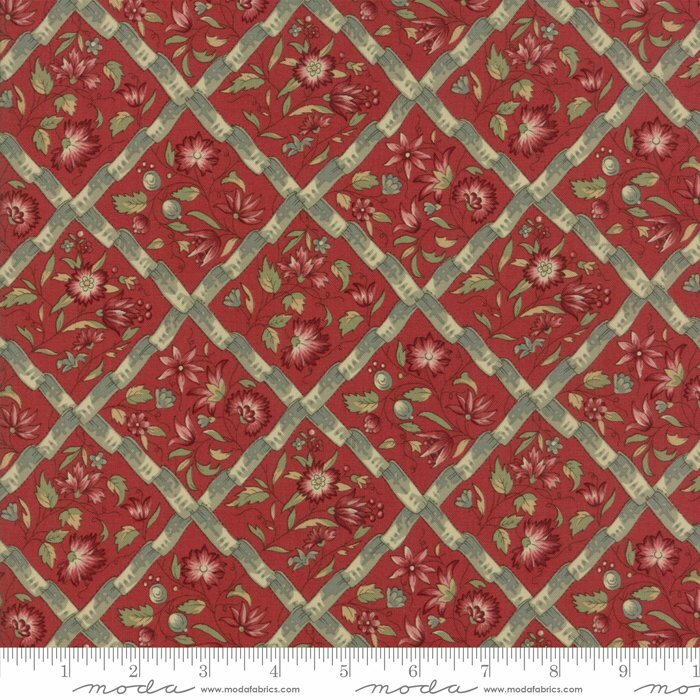 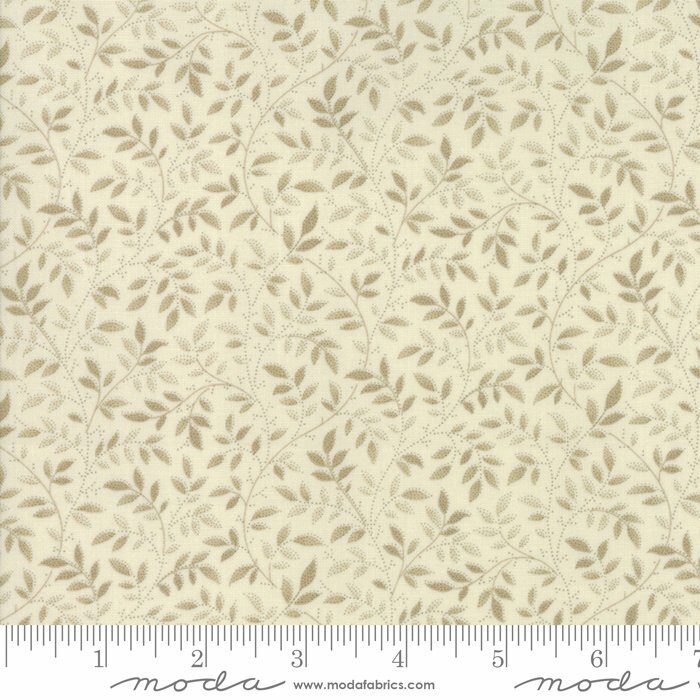 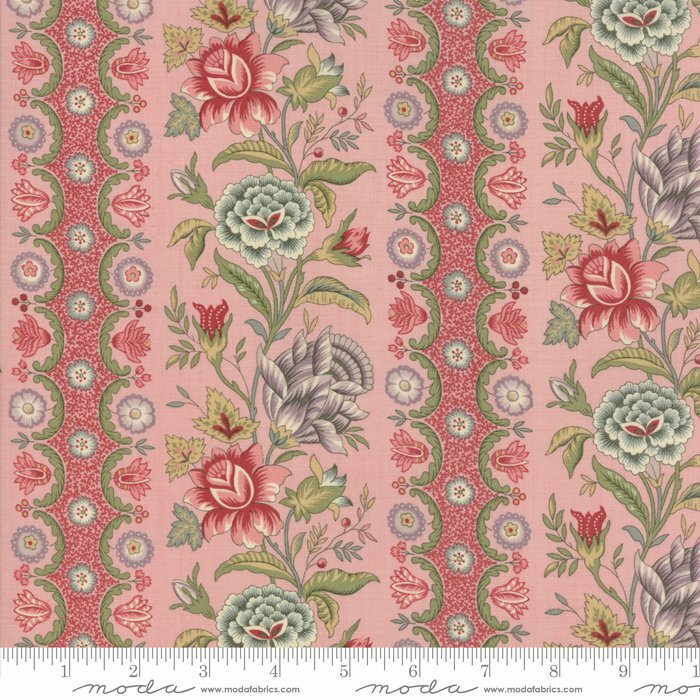 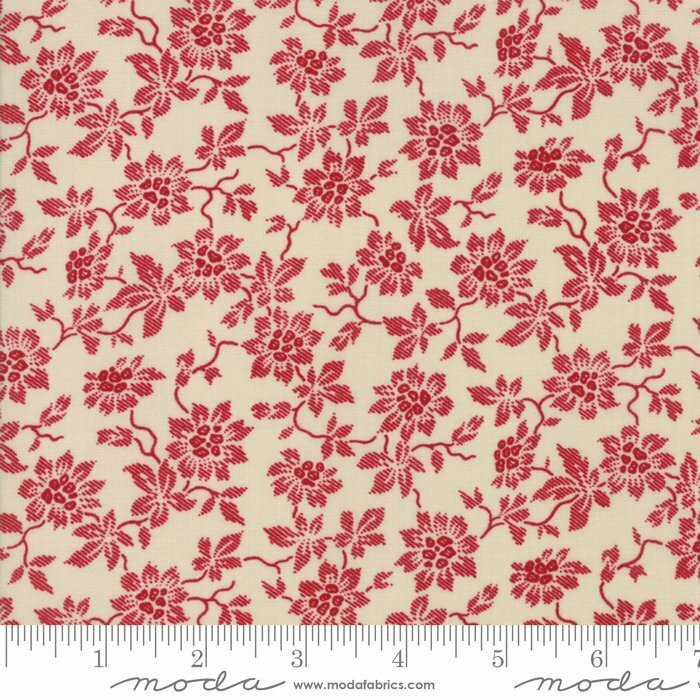 French General began designing fabric and quilt patterns for Moda in 2008 with their first collection, Rouenneries. 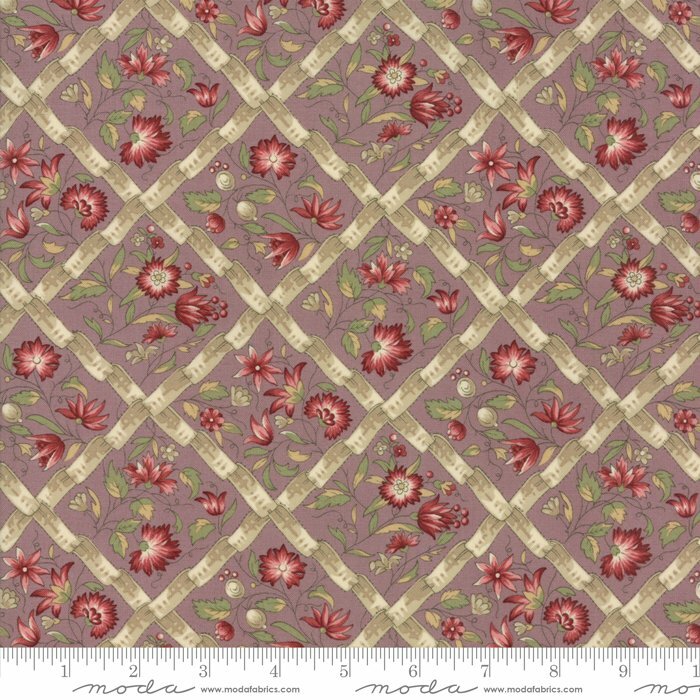 Since then, Kaari and JZ have designed over 30 collections and 60 quilt patterns. 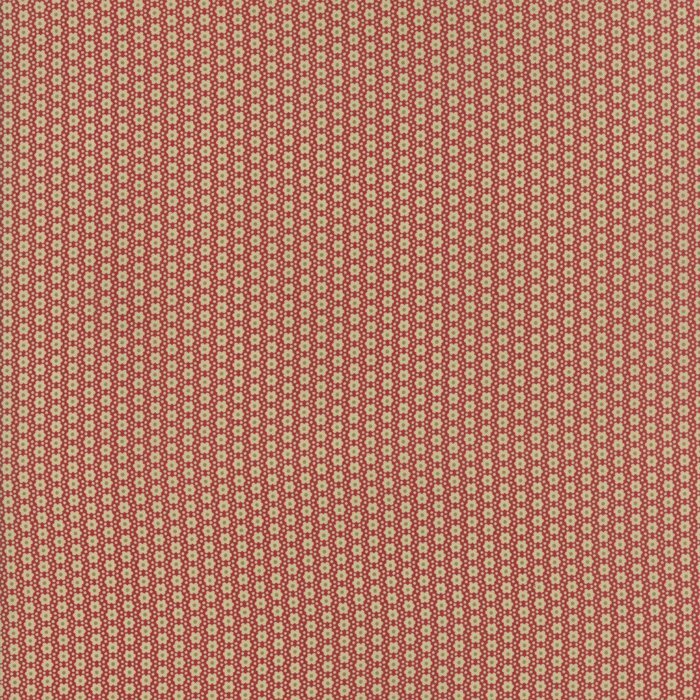 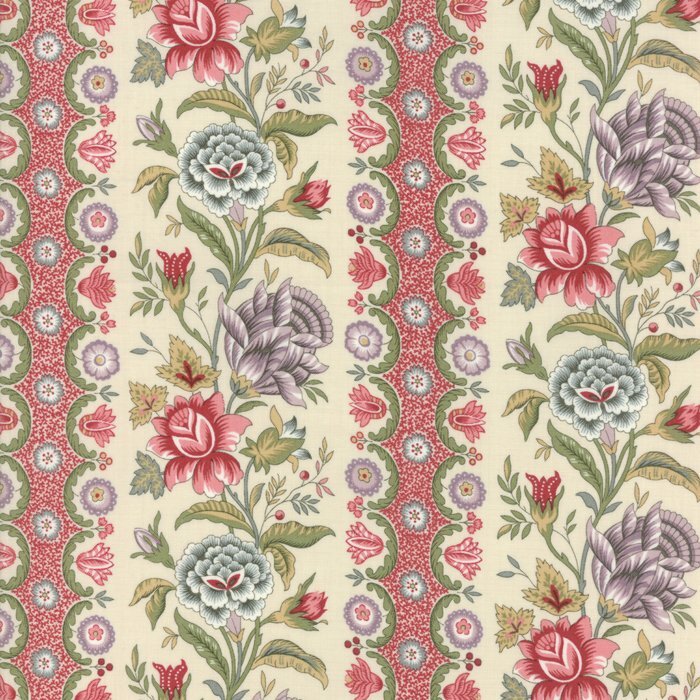 Filled with old French florals, petite prints, stripes and borders, the French General fabric collections are inspired by historical document fabrics but colored in a fresh new way. 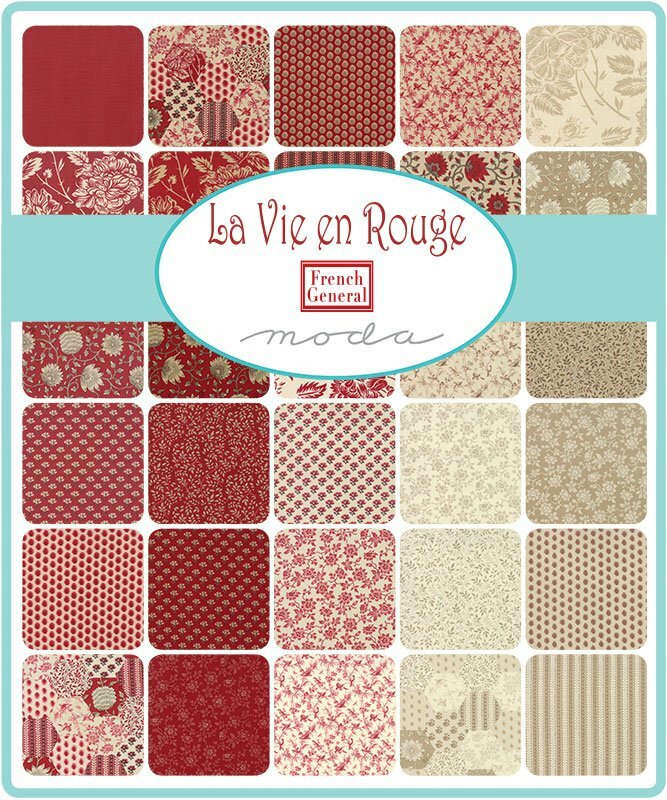 Each collection features a shade of red, which has become synonymous with the French General brand. 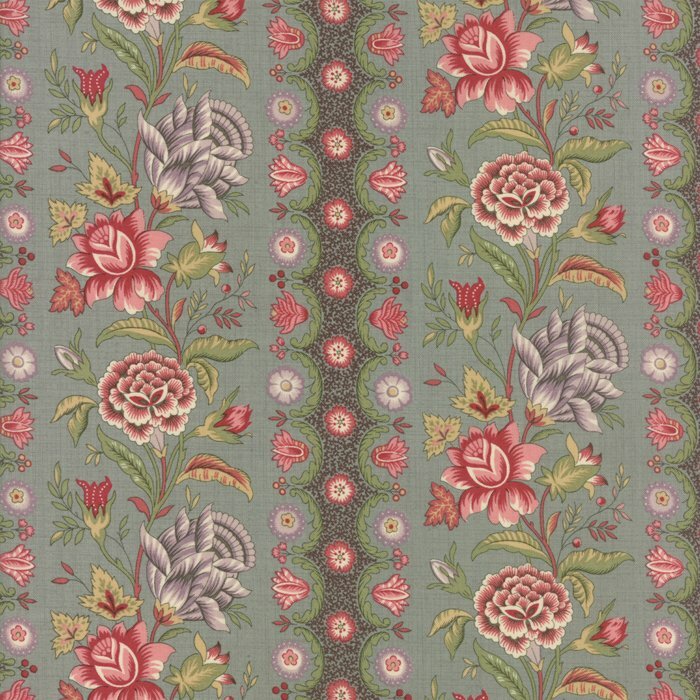 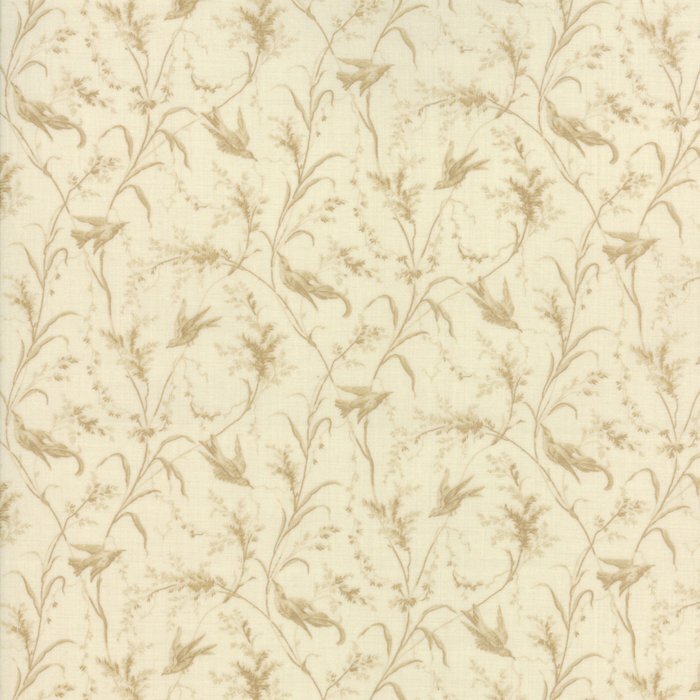 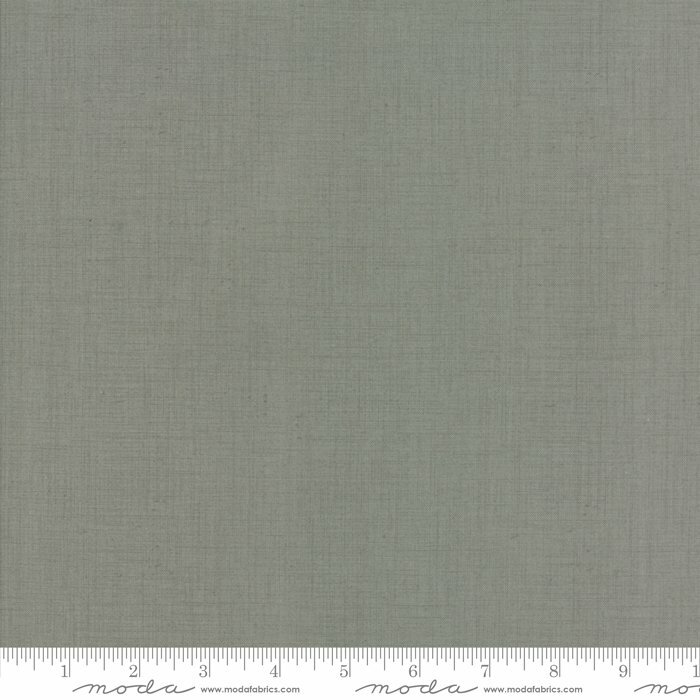 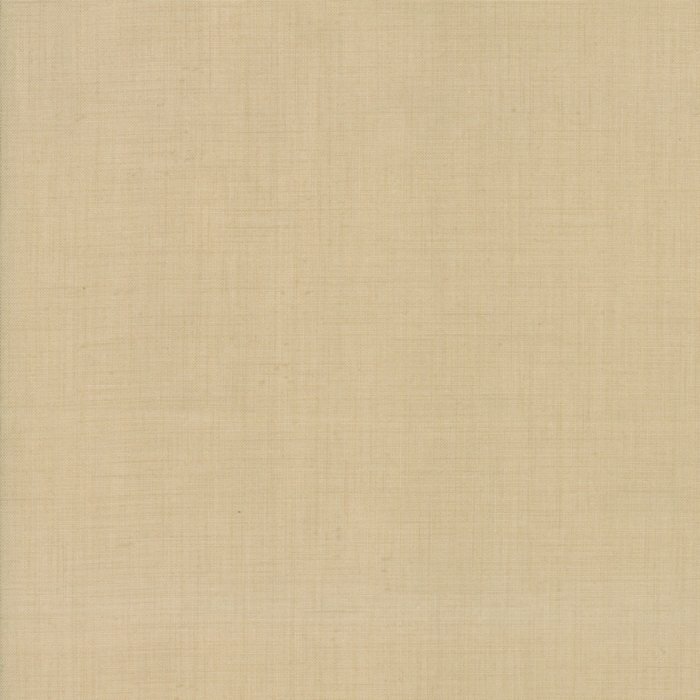 In addition to quilt fabric and patterns, French General also designs interior fabric and wallcoverings, jewelry kits, and a whole collection of embroidery samplers and floss palettes – including their very own French Hoop – a brass and steel coil wire embroidery hoop manufactured by French General. 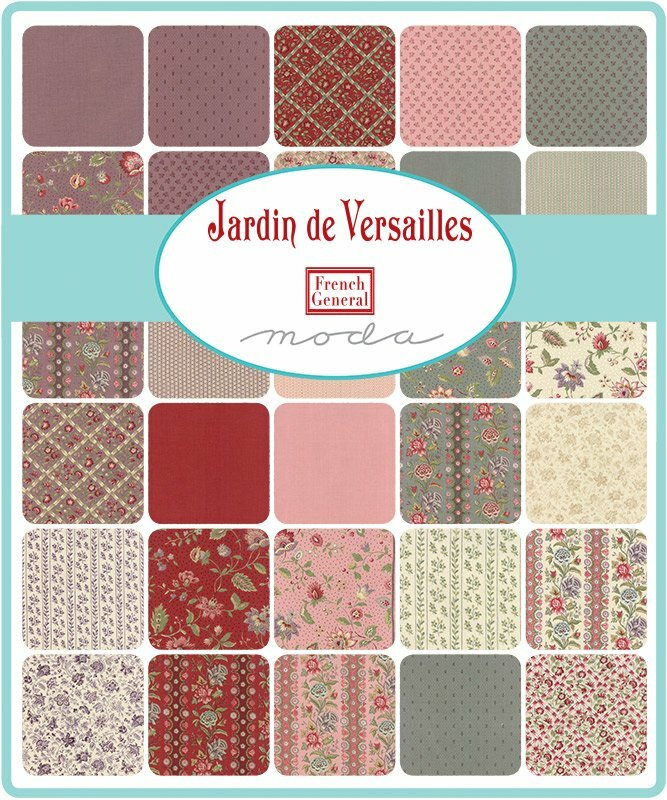 In the summer, Kaari hosts groups of women from around the world in the South of France to live in a large old house and visit local flea markets, artisans and villages – as well as craft and learn to cook like a Frenchwoman. 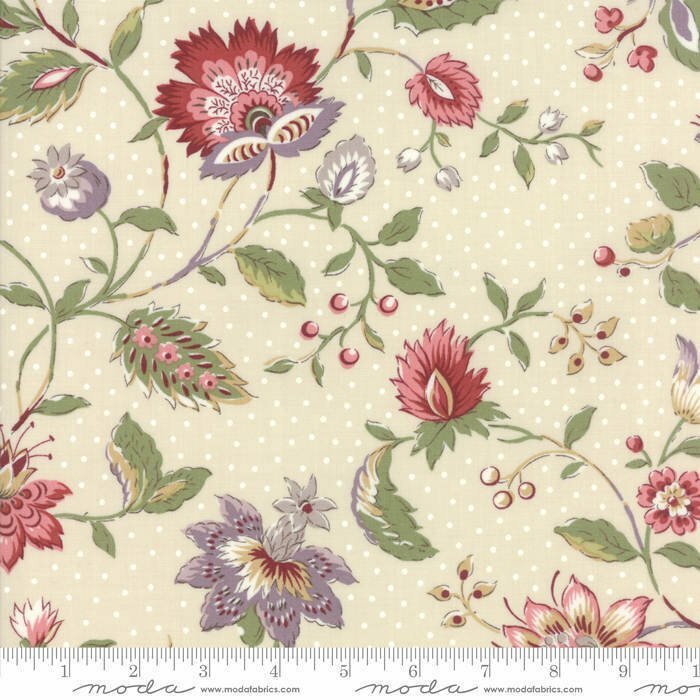 The French General Getaway has become a special event which is usually sold out a year in advance. 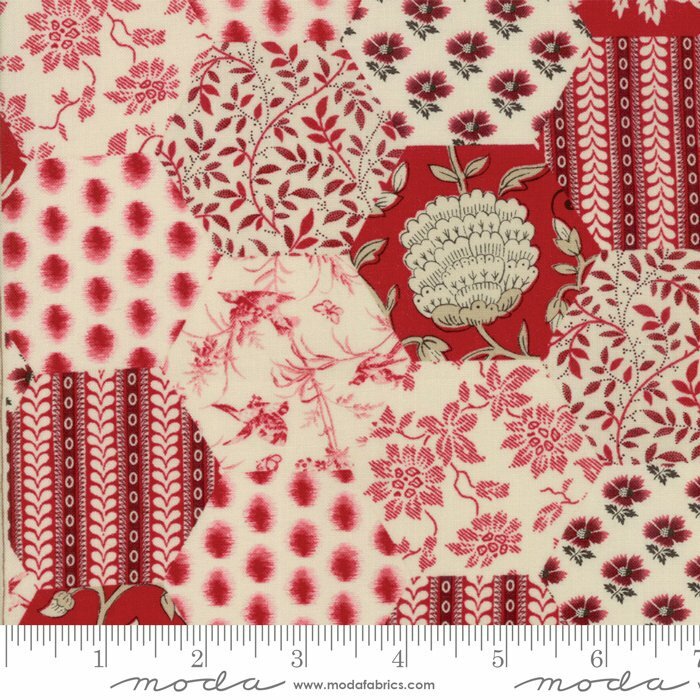 Kaari lives Los Angeles, California and spends her days thinking up creative ideas for French General as well as traveling the world teaching workshops and sharing her passion for vintage fabrics and crafting.